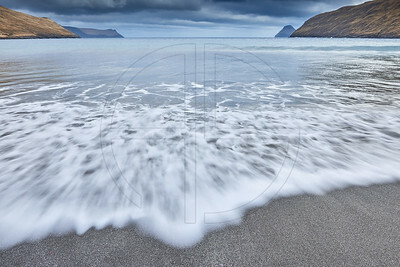 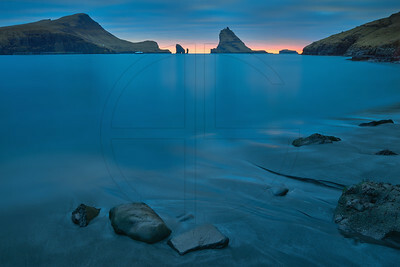 The sea stacks of Drangarnir and Tindhólmur and the island of Mykines, from left to right. 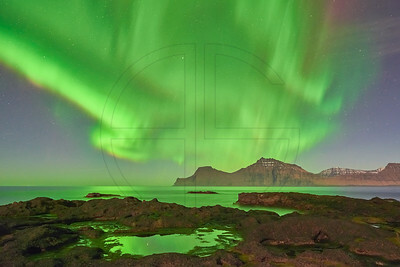 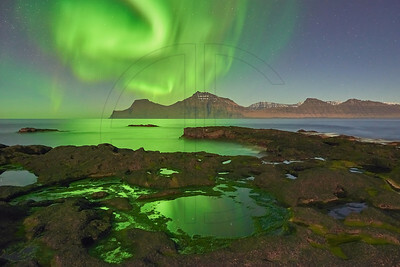 A huge aurora over the mountains of Kalsoy. 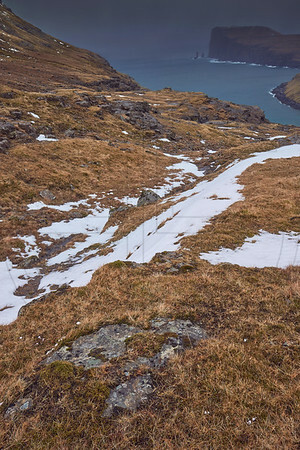 The brook Stórá splits the village of Elduvík in two parts. 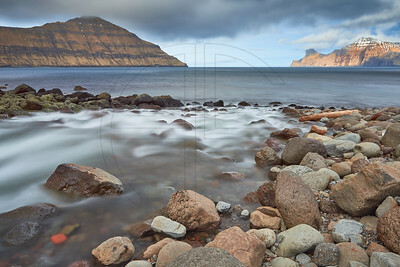 On the left mount Tyril (535 m). 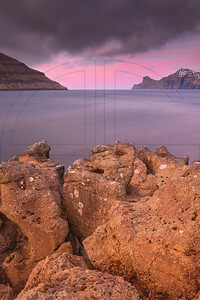 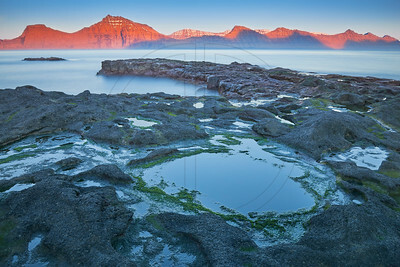 On the right the island of Kalsoy, illuminated by the sun. 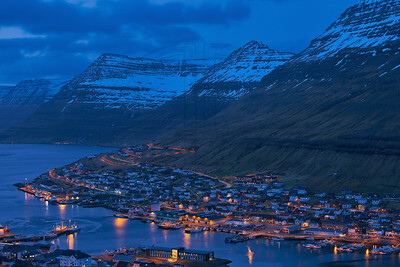 Klaksvík, city of the Northern Islands. 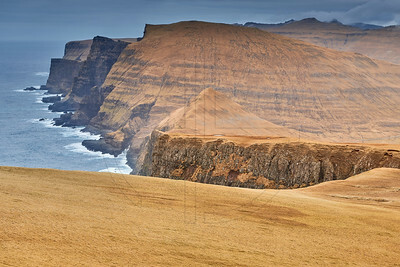 It's the second largest town in the Faroe Islands. 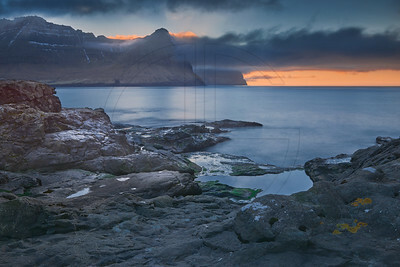 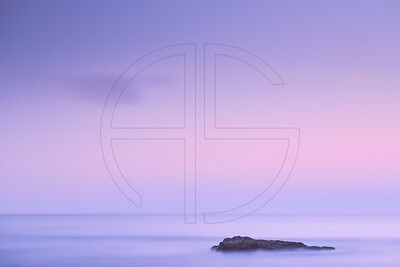 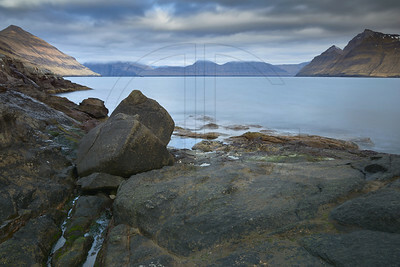 A dark sunset, photographed below Klakkur (413 m). 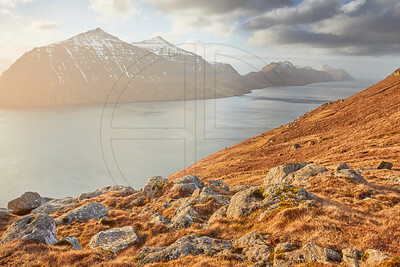 Below the sun the village of Leirvík, barely visible. 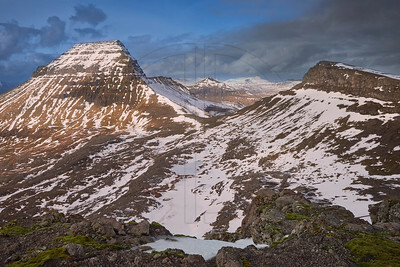 Mount Skælingsfjall (767 m) on the left bathed in afternoon light and mount Stallur (614 m) on the right in the shadows. 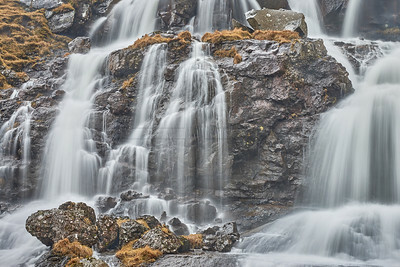 Close-up of one of many waterfalls around Fuglafjørður.